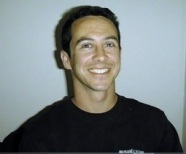 It all began in 1987 when Scott Serenbetz started his company with one partner and focused on basic clearing tasks such as weed-eating, brush removal, and overall site clean-up. 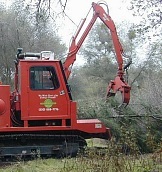 After a year, Scott's partner decided to branch off into landscape contracting, but Scott stayed with the land clearing business with the goal to expand his services. Within a few years, it was apparent that the varied terrain in our region demanded more specialized equipment and skill to provide the broad scope of services that landowners needed. As a result, Scott made a point to expose himself to as much topographical variety as possible in order to determine what methods and equipment were the best match in getting efficient and effective results for the conditions at hand. This has allowed him to bring on the type of crew and equipment that is best suited to providing clearing services in our region, whether it's for reducing fire hazards or improving the appearance or functionality of a property. 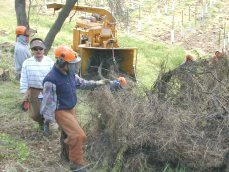 Now Bushwackers, Inc., provides a variety of services to the residential and commercial community, including mechanical brush mowing, brush removal and chipping, blackberry and poison oak removal, tree trimming, tree thinning and removal, weed abatement, and general land clearing. in our region to help you do the job, why choose us? First of all, we're a real, professional company, not just a couple of guys with a tractor who can knock down brush in the fairest of conditions. There are at least ten advantages to hiring Bushwackers, Inc., for your next project. .1. We assess client goals and expectations up front, and discuss possible limitations or unforeseen conditions, to avoid surprises. .2. 18 years of experience and over 1,900 projects have given us exposure to dozens of various field conditions. There's an excellent chance we've seen conditions just like yours. .3. We have a variety of equipment to fit a variety of project needs - we don't just make do with one piece of equipment. .4. We have specialized equipment that others don't which allows us to work in steep, rocky and other challenging types of terrain. 5. We provide an equipment and labor breakdown in our quotes - there are no hidden charges. 6. A Foreman is on the job at all times, and the Owner is always available by phone. 7. We can put a crew of up to 12 men on your job to get the work done fast. 8. We focus on one job at a time so all the skill and equipment is available for that job - your job is not compromised by having to share resources with someone else's project. 9. We maintain equipment daily for safety and peak performance. 10. Our track-mounted chippers are environmentally friendly - they can cross concrete and asphalt without damaging the surface, and won't leave gauge marks in your land like wheels can.